These would be great with a little melted butter and syrup, but I didn’t even do that. 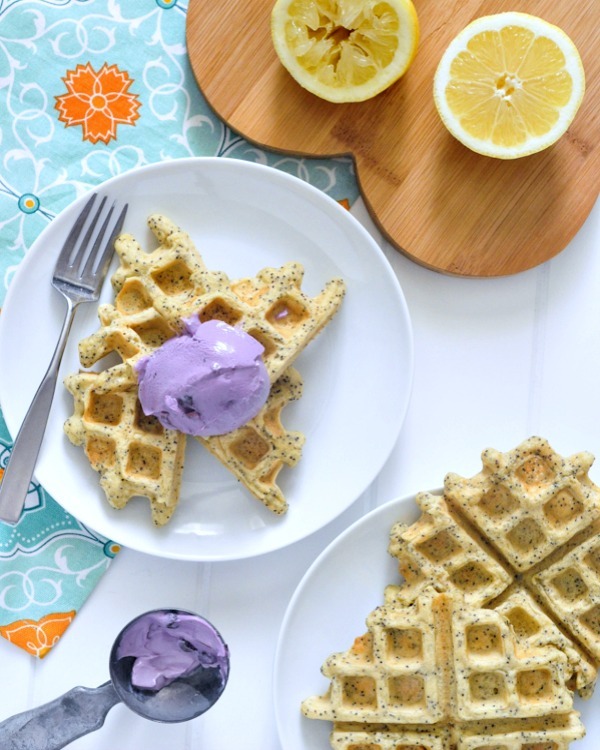 I am loving the new Daiya Greek Yogurt Alternatives – and the Blueberry flavor was a perfect match for these Lemon Poppyseed Waffles. Perfect flavor match and color match, don’t you think? It really is all I needed. Sunday Vegan Brunch, here we come. 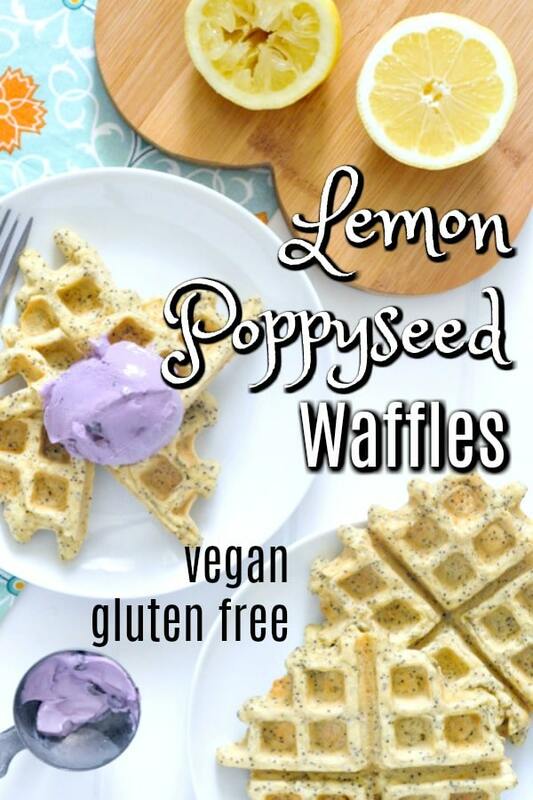 Vegan Gluten Free Lemon Poppyseed Waffles - a lemony light and bright breakfast recipe! crispy and fluffy – perfect for vegan weekend brunch! 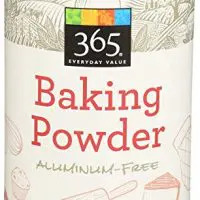 Sift together flour, sugar, poppyseed, and baking powder. Whisk in soda and combine. Stir in lemon juice and zest. 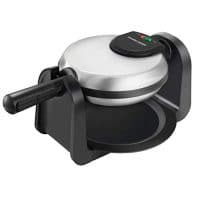 Allow waffle batter to sit several minutes, stirring again just before pouring into waffle maker. Pour 1/3 to 1/2 cup into middle of prepared waffle iron (depending on size of iron). Close and cook per machine instructions. I cooked mine about 3-4 minutes on one side, flipping and cooking another minute (using a waffle iron that flips). Is there any way to substitute the club soda? absolutely – the carbonation just adds a lighter texture. you can use water or dairy free milk instead. I Love lemon and Poppy seeds. I can’t wait to try these! They look amazing! 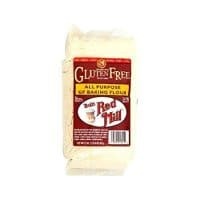 THESE LOOK SO GOOD and I am neither vegan nor gluten free. oohhh! 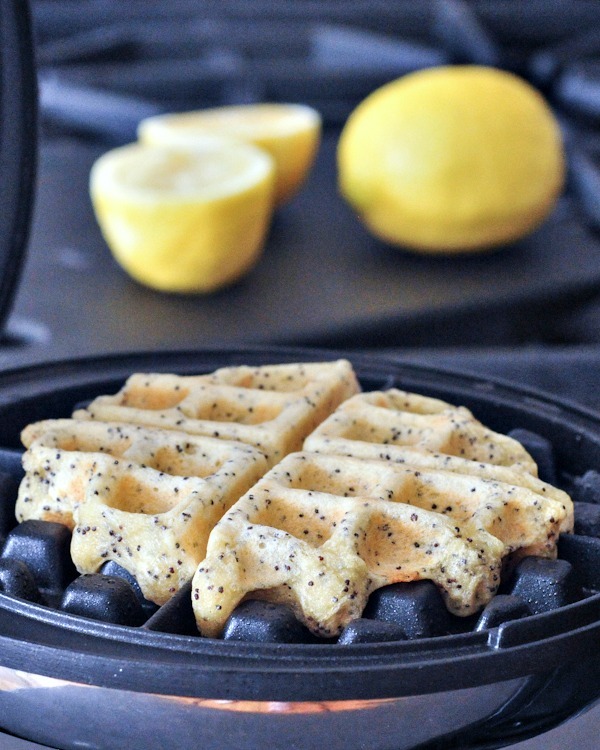 I’ve never thought about making a poppyseed waffle! Genius! Gorgeous waffles! Even better than they’re so allergy-friendly. Oh wow, these look so yummy! These waffles sound incredible. 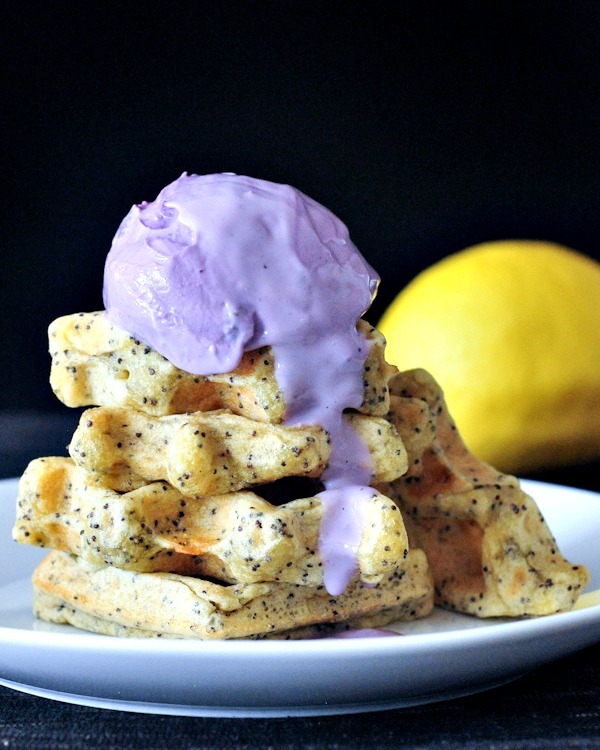 Love lemon poppyseed together and adding blueberries to the topping is genius! One of my favorite things to do is remake childhood favorites like this. 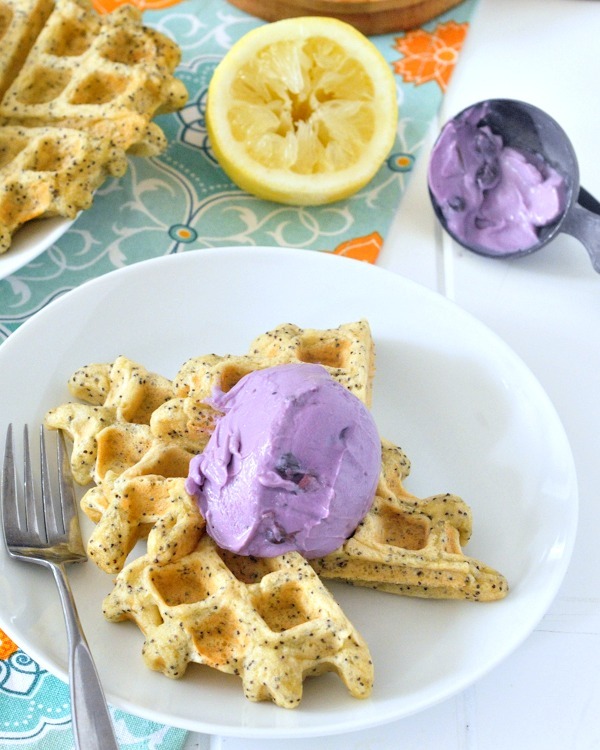 Your waffles are gorgeous and the flavor combo is spot-on! The blueberry topping sounds perfect too. Lemon poppy seed is pretty spectacular! Although I’ve never had it in the traditional loaf form! Saving this one try try. Pretty sure Vegas will never notice they’re vegan. I bought Daiya cream cheese today… going to see if she catches on to that. But you ned to come here. She refuses to go to Kindred with me. Lame. I love lemon poppyseed!!! These look delish. And that pop of purple is so pretty!!! And yum. I haven’t tried the Daiya ones yet.